The creation of a new social order and the establishment of different social relations brought through the arrival of the Turks in Bosnia resulted in the symbiosis of the pre-established and the imported cultures and influences. This process of symbiosis was facilitated due to two reasons: First, the government did not strive to destroy the situation they encountered and, second, the spread of Islam was a chief factor in the formation of a new image of the cultural history of Bosniaks. In the subsequent historical period, the Austro-Hungarian Empire imprinted the Central European seal on the former Ottoman and Islamic lifestyle, which resulted in the peculiarity of the character of the native Muslim population. 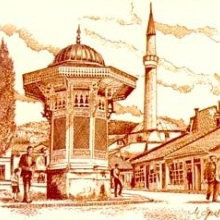 The historical background of the overall circumstances in the 19th and 20th-century Bosnia and Herzegovina is largely marked by studies on the educational and cultural development of the Muslim population. Among the diligent and zealous workers who focused on that goal (Osman Nuri Hadžić, Ivan Aziz Miličević, Edhem Mualbdić, Safvet-beg Bašagić, Hamid Šahinović Ekrem, the grat reformer Džemaludin Čaušević, etc. ), there are certain authors whose production was stimulated sometimes by an official cultural policy or by individual interest and enthusiasm. At times, it was stimulated by all these factors together. The work of Antun Hangi – an educational worker, a collector of folk songs, and an investigator of the life and customs of these people – is generally classified in the third category aforementioned. 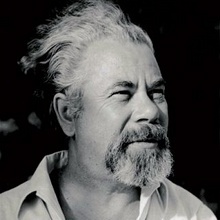 This year (referring to 2009) marks the 110th anniversary since this author has embodied his contribution to the nature and the promotion of ethnographic and cultural history of Bosnia and Herzegovina in the work Life and Customs of the Muhammadans in Bosnia and Herzegovina. In accordance with the active surpassing of national placement and defining the Bosniak population as “the Muhammadans of BiH”, the following, and a considerably extended issue of this book had a changed title: Life and Customs of muslims in Bosnia and Herzegovina. A third issue, however, appeared in 1990, introducing the capital M in the word “Muslim” in the title. If we stick to the principle that a need for a new issue can best be judged by the lifespan of a particular work and its relevance in the present-day circumstances, then we may deduce the following: if some work is observed based on the epoch in which it was written (which is the necessity of an accurate reading process), then one can notice that the majority of defects in a work results from the generally accepted standards at the end of the 19th century. “Images in the head” that even Hangi himself brings to Bosnia (and yet, they have the natural feature of outliving ideologies) have not interfered with the overall usefulness and quality of Antun Hangi’s work. That usefulness and quality made his work survive and live through an entire century and, what is more, preserve the contents’ authenticity even to this day. In the valorization process of this work’s significance, the point speaks for itself. One could say that this work was the first attempt in giving a synthetic portrayal of life and culture of the Bosniaks from the end of the 19th and the beginning of the 20th century. In its broader sense, the Bosnian-Herzegovinian cultural production of the 20th century is characterized by the constants, such as theme shortening, lack of synthetic studies, reserved approach in treating the long-lasting taboo topics, and directing research on questions that have a current and short-term connection with the local milieu. All this creates an image of a certain confinement among most Bosnian-Herzegovinian authors, when it comes to tracking down the general processes. But this is not the case with Antun Hangi who even in the years teeming with sociopolitical, economic, and cultural ferments pays attention to the demands of the Bosniak intellectuals of that time, and takes into consideration a need for the more accurate labeling of the nation (ethnic group) by changing the “Muhammadans” from the title into something more acceptable for the time – “Muslims.” Besides, considering the constant pillaging of the Muslim heritage, Antun Hangi has protected this corpus to some extent by giving this exact title to his book. Hangi’s teaching service in the towns Maglaj, Bihać, Banja Luka, and Sarajevo, has, unfortunately, limited the range of the author’s knowledge on local coordinates. Due to its geographical miniature, the Bosnian territory is deceiving, so the local elements – and not only in Hangi – are frequently taken as standards for the overall Bosnian-Herzegovinian area. Talks and records about life, customs, and the tradition of Bosniaks are, to a great extent, a result of the Bosniaks’ attempt to have a showdown with the reality of that time. However, regarding the fact that a characterization is being developed during such an encounter – and this characterization is developed on the level of the community’s ethnic life, not on the level of an individual’s life – one shall consider the shortage in Hangi’s knowledge of circumstances in all parts of Bosnia and Herzegovina as well as his aiming towards the treatment of town citizens mainly (with a complete neglect of life and customs among the peasantry), numerous simplifications and generalizations in the places where that cannot be done (e.g. equalizing the term “godfatherhood” among the Bosniaks, Serbs and Croats), not knowing the essence of fundamental Islamic institutions which are entirely respected in Bosnia (e.g. the essence of marriage contract among the Muslims, which author depicts as “purchasing a wife”). Having all this in mind, one could say that the author placed his research within a reliable theoretical framework, providing us with a work which even to this day shows an unequivocal contribution to the knowledge about the cultural history of Bosnia-Herzegovina.Moreover, the research is placed as an element of primarily Bosnian heritage. Though de-historicized by different elements of artistic expression in many places, the author’s knowledge, even to this day, attracts the readers’ attention, which is a sufficient reason to make a new edition of this work, and its presentation for all those interested in it. The reproaches presented serve only as means to emphasize the need to invest further effort in depicting the life and customs of Bosniaks in their full variety, and the area in which they have existed and survived. Contemporary trends in the world – especially scientific and scholarly works – have created an atmosphere of accessibility to numerous works teeming with literary-historical and ethno-folklore themes. Nevertheless, the quantity of these works does not necessarily imply the quality of information stored in them. Therefore, only a small amount of works has managed to preserve the referential value in culture, in general. 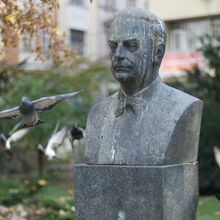 Despite the attempts to generalize it in various directions, or compress the enormous wealth of the Bosniaks’ life and culture into narrow geographical borders, the work of Antun Hangi cannot be stripped off its representative importance, and the portrayal of life of one layer of Muslim population, primarily the prominent and the rich. At times, Hangi does that in an artistic way, not making a difference between historical facts and folk stories. As a result, this gives a direct possibility to all critics to question the authenticity of everything the author presents. But, as elements of tradition possess genuinely historical values, one shall accept the author’s feeling that folk songs which he presents in the work can also reveal some elements in customs and lifestyle of Bosnian-Herzegovinian Muslims. In the second edition of the book, the author himself admits that the title of the book is too extensive, in regard to its contents; he agrees that it would have been better if the title was From Life and Customs of Muslims in Bosnia and Herzegovina, for he did not describe, and was unable to describe “all the customs of Bosnian Muslims in a single book”. The greatness of this recognition is also reflected in the fact that, during the last century, a synthesis has not been done in the form of a book that would encompass all the diversity of life and customs of Bosniaks. Moreover, there are not enough individual studies that could work out the segments of such synthesis. In addition, among the outstanding individual attempts of Muhsin Rizvić and Alija Isaković, we have a decade of “silence” symptomatic in the treatment of these problems in scholarly projects and in its inclusion in textbooks and publishing houses. Considering all the information provided about the work of Antun Hangi, it is superfluous to give additional reasons on why Dobra knjiga (publishing house) has recognized a need for a new issue. The spirit of altruism of presenting his knowledge to the world has given Hangi the things that present-day reader is largely deprived of, primarily because of their own conceit. Namely, in the times of great political changes, people are generally ready to consider how the world will commence from them. Books like these prove of permanent value and raise relevant questions, such as the one saying it is not enough to care about what we think of ourselves or about what others think of us or to care about what we constantly forget. Antun Hangi, Život i običaji muslimana u BiH, Sarajevo, Dobra knjiga, 2009., 215 str. The editor is grateful to Gregory W. Gernetzke for help in preparing this article.